Find the hottest ice fishing tackle on sale - Gapen's Ice Breaker Sale - Daily Specials 20 - 40% Off. The Deal of the Day is at top left in the menu and will feature a new deal now until it warms! Supplies are limited and daily specials every day in our "Daily Deal". Some deals offer free product- everything automatically calculates in your cart. We will run a new deal of the day now through January 1st. First-Come, First, Served deals. Some are limited in quantity! Buy Fast. Read the deal, add the number of lures in the deals (including your selection of the free deal items!) 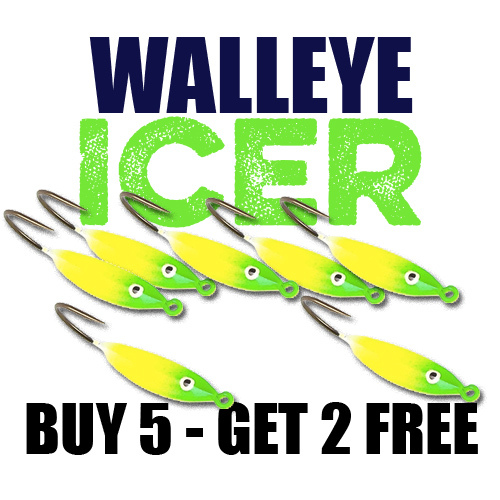 and save on your ice fishing and summer fishing tackle. Hurry, these deals won't last. Save 30% - 80% on ice fishing tackle and summer fishing tackle. 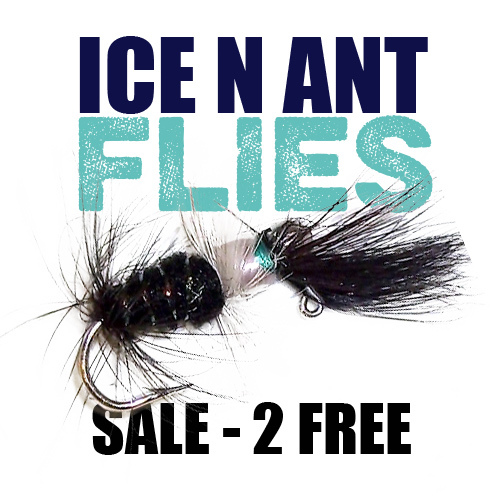 Ice N Ants are our hottest ice fly. Buy any 5, get 2 Free Ice Ants. Fish gobble them up winter & summer! 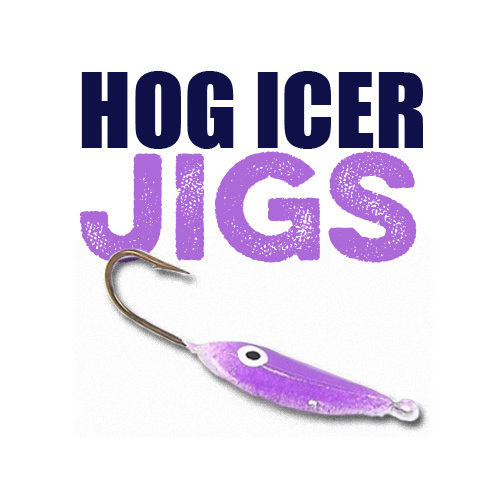 Big fish on the ice- our Size #1 Ice Hog is on Sale 35% off! Big fish ice jigs custom-crafted to hook the big lips. All Gift Certificates Bonus 20%! Buy any Gapen.com gift certificate of $30 or more now through January 1st and get an extra 20% bonus gift certificate! That is like free tackle - easy cheese, gravy - bonus. No limit so buy a $1,000 gift certificate and we will make it $1,200! Buy one now for Spring shopping! Daily Deal - Save up to 80%!